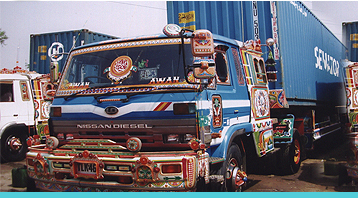 Malik Mushtaq Group is the Pakistan’s largest and well renowned Transport Group. The core field of the Group is Goods forwarding, and container services. Working as Rail cargo franchise of Pakistan Railways for last three years from 2003 to 2007, Malik Mushtaq Group made a business of worth Rs.3.05 billion for Railways. As Malik Mushtaq Group, we believe that personal services and the development of long-term relationships is the key to understand clients’ problems successfully and finding their solutions. Malik Mushtaq Group, comprising a team of over 200 professionals, offers a full range of Rail Cargo, Goods Forwarding, Air Cargo, Container Services and Imort/Export designed to meet the expanding needs of its customers. Equipped with wholly owned latest technology and ideally located offices in major cities of Pakistan, today it serves the commercial & industrial importers & exporters throughout the country. Malik Mushtaq Group has a vast experience and its dedicated employees have contributed to its growing reputation in the goods forwarding industry. Although our growth has been substantial, we take pride on our ability to maintain a personalized atmosphere, flexible response to customer requirements and highly competitive prices. Malik Mushtaq Group has established long term excellent & close co-operation with Shipping Companies and International Freight Forwarders which helps us to fulfill the requirements of our customers while maintaining cost competitiveness and excellent services. To ensure quality service, open communication and personal attention, our dedicated staff members have always managed their responsibilities for each client’s matter. Our devotion towards the job, professional back ground, overriding attention to service, forward thinking, reliability, cost efficiency, competitive rates and promptness in matters of payments forwarded by fellow freight throughout Pakistan are main reasons of our fast development. Our professional team is a unique combination of MBAs, Certified Financial Consultants, Cost & Management Accountants, Graduates and Masters-in-commerce, dedicated in providing the best of their professional services to our worthy business clients. To provide a single source to our customers for logistics solutions as a Goods Transport Company, facilitating as container Services and as state of the art container terminal, providing Rail Cargo Services, we will exceed expectations for quality, execution and service, in ways that develop long-term, mutually profitable customer relationships.
" Serve People - Serve Allah " , " Love People - Love Allah "
In future we will all face changes, and are assure that Malik Mushtaq Group will continue to provide you with optimal services and continue to be trustworthy Goods Transportation, Rail Cargo and Container Services partner. We will continue striving to ensure that our supply chain solutions are modular in design, allowing rapid implementation and tailored to customer requirements. We believe in being competitive in costs as well. Our ultimate goal is to become the most trusted logistics company in the world. We do not simply transport cargos; we transport your values and success. Site Developed By: MMG IT DEPTT.